pastingYou prepared your CV making sure you add all the relevant experience and details that you want to showcase to the recruiter, but still you are not shortlisted. Ever wondered why? Or, did you ever get a chance to share your resume with people from the recruitment industry and get an insight? There are few things that every good CV should have, and missing out on these things will limit your job applications from being a successful one. Not adding the relevant keywords to your current and future job can limit your CV’s exposure. Recruiters use keywords to sort and filter out the CVs. If you don’t have the keywords they use in the filters, your chances are down. Homemade CVs are like vegetables that you find in the market. But professional CVs are those expensive and well grown fruits that you find on high-end supermarket shelves. Get your CV reviewed by a professional expert to update on the missing points and stay ahead. 3. Are you a Doer or Achiever? It is really important to know what a doer is and what an achiever is. Companies don’t want to hire a doer, they need achievers. Example of Doer: Managing the office supplies and making sure they never run out. Example of an Achiever: Spearheading office management activities that includes office supply and maintenance. Want to know more on what aspects to improve your CV? Contact us and we will be happy to help you. 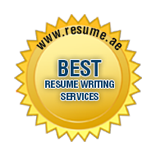 Share your resume on info@resume.ae today to get help on CV writing and editing.